Brad Grantz is a first-year MBA Candidate and Graduate Fellow at the Penn State University Smeal College of Business. He specializes in Marketing and Strategic Leadership, is President of the Military Veterans Association, an Ambassador with the admissions and recruiting department, and a member of the Marketing and MBA Associations. Originally from Ithaca, New York, Brad graduated from the University of Washington in 2014 with a BA in Media and Communications. Prior to enrolling at Penn State, he was an Associate and recruiter for the Technology Analyst Program (TAP) at JPMorgan Chase Co. in Columbus Ohio, and the Assistant Director of MBA Recruiting Admissions at The Ohio State University. 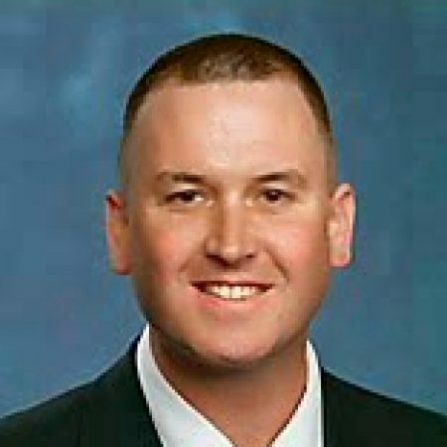 Before beginning his career in recruiting, Brad served in the United States Army with duty stations in Ft. Benning, Georgia and Bamberg, Germany, before deploying to Kandahar, Afghanistan in support of Operation Enduring Freedom 2011-2012. Brad will be returning to JPMorgan Chase Co. this summer for his MBA internship, as a Summer Associate in their Chase Associate Program (CAP).